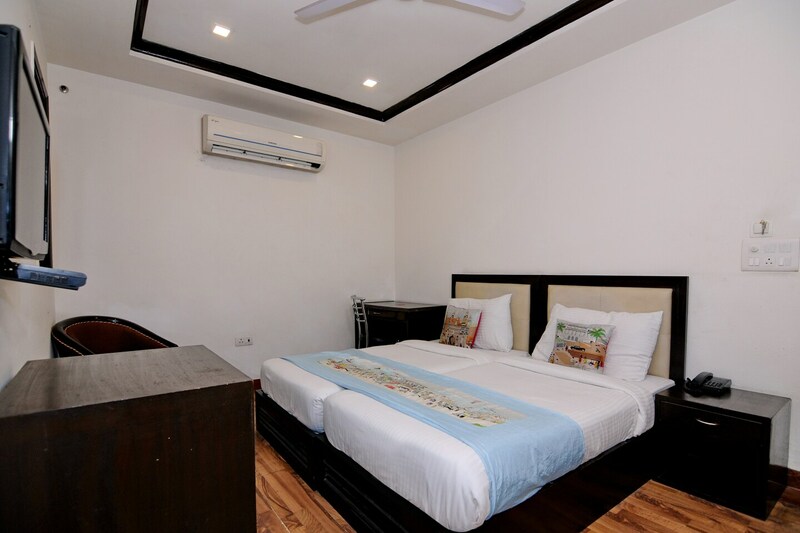 Hotel Bhikaji Cama Place is located at Africa Avenue Road, Delhi. The closest attraction to the hotel is Bhuli Bhatayari ka Mahal. Jantar Mantar, Red Fort and India Gate can be easily visit via local transport. The rooms feature the most soothing color combination of white and black with elegant furniture. The reception area is quite spacious, and the staff is also friendly. There are a number of amenities including free Wi-Fi, AC, power backup, TV, geyser, card payment, elevator, banquet hall, CCTV cameras etc. that the hotel offers to its guests. There are quite a lot of restaurants, banks, as well as metro stations located close to the hotel that would make your stay convenient.